This is a popular science clip from the TV program Beyond Tomorrow which has been internationally aired since 2007. 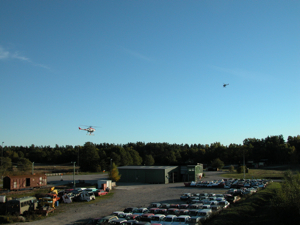 It documents the UAS Technology Lab’s activities (pre-2007) at Linköping University, Sweden. 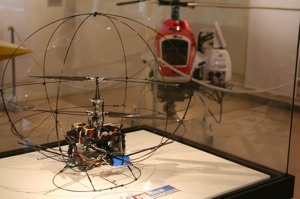 The Yamaha RMAX-based helicopter system is a fully autonomous UAS that has been developed and used as an experimental testbed for aerial surveillence, emergency services and intelligence gathering applications. 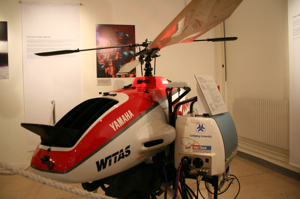 The clip provides a nice summary of our competences with mid-size platforms such as the Yamaha RMAX. 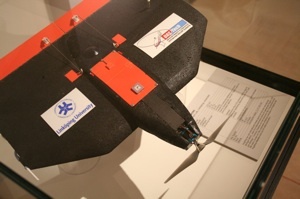 In 2008 a special exhibit at the Swedish Airfroce Museum hosted three platforms developed at the UAS Technology Lab.